Discus fish are expensive so you should always be on the lookout for any discus fish diseases. This is true for any type of tropical fish diseases especially if you mix different types of fish in the same aquarium. 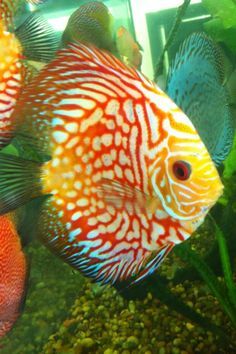 Discus fish are a bit like humans, we catch diseases no matter how much care we take. So there is no way we can completely keep discus fish completely free of discus fish diseases. What you should know though is how to keep a lookout and what steps to take if you identify any peculiarities that may give an indication that a discus fish disease is happening. 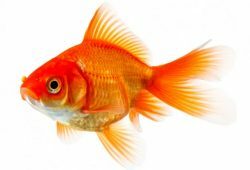 It is most important that as soon as you see an indication of a disease that the affect fish(s) are quarantined in a separate aquarium and steps taken to treat them so that they become well again. 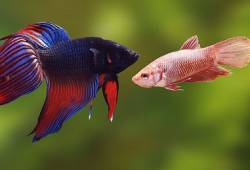 Another consideration is if you are adding new fish to your new main aquarium, you should consider isolating the new fish first. 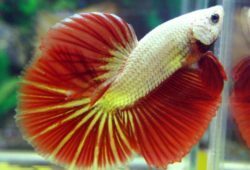 Fish can appear healthy when you buy them, but they may have any sort of fish disease and be actually sick and pass any sort of discus fish diseases that may cause sickness in your main healthy tank. A minimum three weeks of isolation is considered necessary to prevent fish diseases in your main aquarium. An isolation tank isn’t costly, as you do not need a swanky one. A small one with the minimum of decorations will do. Do remember that you still need the necessary filtration etc. What should you look out for when looking for signs of discus fish diseases? Watch for the following. Fins and tail have a rotting, disintegration appearance. Disintegration of surface tissue above, below, or around the eyes. Wounds or lesions on any part of the body. Gills are pale or of a different coloration (healthy gills are pink or reddish). Appear to be gasping for air at the surface. If any of the above are observed isolate them immediately. It is also recommended that you increase the temperature of the isolation tank slightly especially when medicating the fish. A 5 Fahrenheit degree increase should be enough to help with healing. A temperature increase is an excellent way to kill off any discus fish disease parasites. There are many discus fish diseases (roundworm, fin rot, fungal infections are but a few. Be sure to look at after you discus fish by being able to identify discus fish diseases and ensure that they remain healthy.